Well, I thought I would reach the end of Coffee & Ghosts, but I’m not quite there yet. It was the big birthday weekend for my daughter, which meant a big birthday weekend sleepover party at the lake. The dogs wore themselves out keeping an eye on things. But, I’m almost there and I’m pleased with the progress I’ve made. Also, I did a bunch of formatting and uploading work, and I’m really pleased with how easy it is to go from Vellum to iTunes Producer. I’m sold. 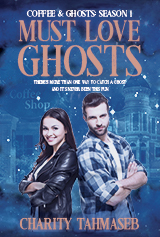 So … this coming week: definitely Coffee & Ghosts. This time, I mean it.